When it comes to Adderall, many people have questions they want to be answered before they consider treating ADHD with this medication. Those questions and concerns range from the correct dosage, is it safe for children, what are the warnings about this medication, and is it addictive? 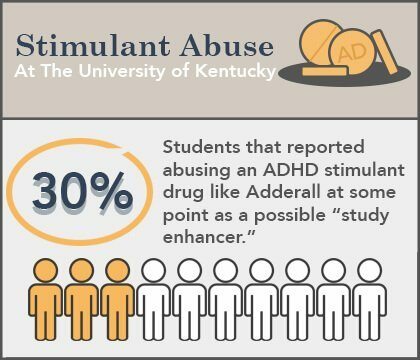 Adderall does contain a unique combination of dextroamphetamine and amphetamine. These are essential for stimulating the central nervous system as well as affecting chemicals in the brain or nerves which contribute to impulse control and hyperactivity. The drug is also used for treating attention deficit hyperactivity disorder (ADHD) and narcolepsy. To better understand exactly what is Adderall, you have to take a closer look at the four amphetamine salts it is comprised of. 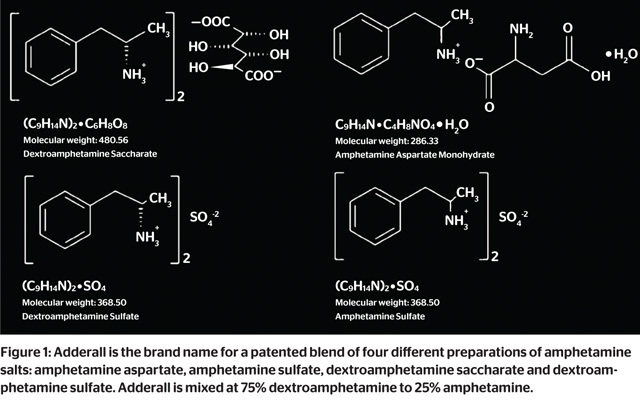 These salts range from amphetamine sulfate, dextroamphetamine sulfate, amphetamine aspartate, and dextroamphetamine saccharate. This unique combination is essential for treating ADHD and was only approved for use by the FDA back in 1996. Before you or a family member were to take Adderall, there are some important things to consider. The drug should not be taken if you have severe agitation, glaucoma, high blood pressure, and overactive thyroid, coronary artery disease, a history of alcohol or drug addiction, or heart disease. If you or a family member have taken a MAO inhibitor in the last two weeks, do not take Adderall. This drug mat is habit-forming, so never share the medication with anyone who has a history of drug abuse. In order to ensure the drug works as prescribed, it is vital that you do not take the medication if you have had or have any of the following conditions. 5. Mental illness, bipolar, or thoughts of suicide. It is important that you take Adderall exactly as prescribed by your physician. Taken incorrectly, serious side effects or death can result. Before taking the prescribed medication, take the time to read all the medication guides, instruction sheets, and patient information. If you have any questions at that point, contact your physician immediately. Be sure to follow all the directions on the prescription label, and make the appropriate changes if your doctor were to alter the dosage of the medication for any reason. Do not take it upon yourself to take more or less of the prescribed dosage. Take the medicine with food or without, but try to consume first thing in the morning. Never crush, break, or chew the tablets, swallow the entire tablet as is. To help with the process, cover the Adderall pill in applesauce and swallow immediately. What Happens When I Miss a Dose or Overdose? If you happen to miss a dose of Adderall, try to take your medication as soon as possible to the time you missed. Try to avoid taking the medication later in the day because it could have an impact on your sleeping. If it is close to an evening when you realize that you have missed the dose, then skip the medication until morning. Never take additional medication in an attempt to catch up or you could overdose. If you feel like you took too much of the recommended dosage of the Adderall, you must seek emergency medical attention as quickly as possible or call the Poison Control Hotline at 1-800-222-1222 immediately. An overdose of Adderall could be FATAL. Restlessness, muscle twitches, tremors, rapid breathing, hallucinations, confusion, panic, aggressiveness, weakness, dark-colored urine, and muscle pain. These could be followed by tiredness and depression. 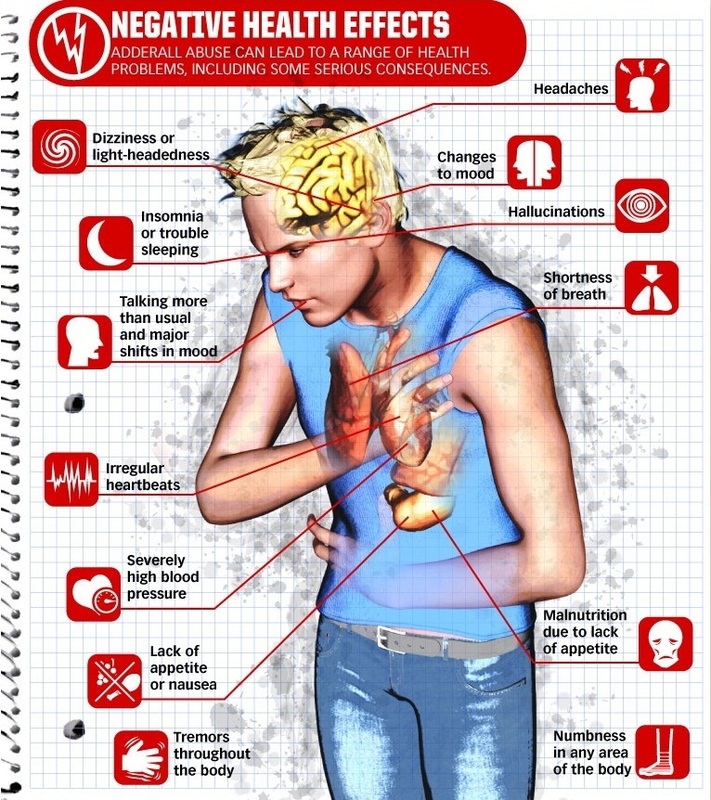 Other symptoms include vomiting, nausea, diarrhea, uneven heartbeats, stomach pain, fainting, seizures, or coma. 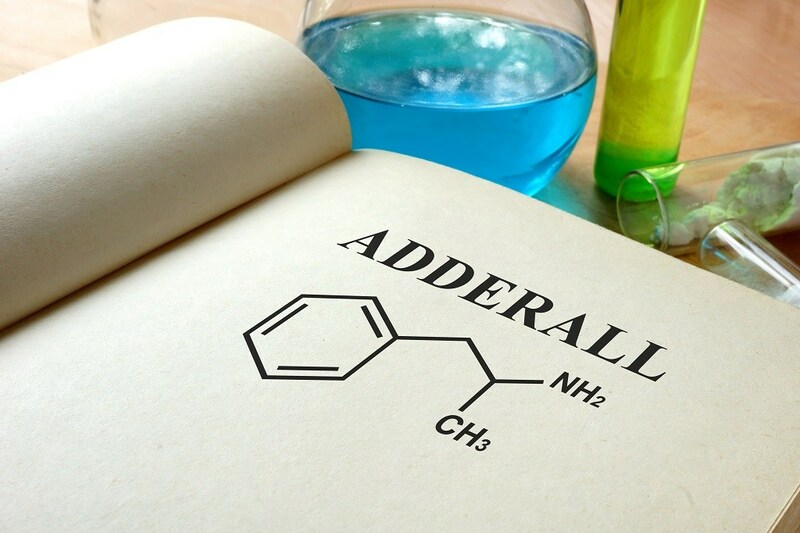 If you are going to be taking Adderall, it could impair your reaction time and thinking, so try not to operate a vehicle or do anything that requires that you be alert. While taking this medication, do not consume vitamin C or drink any fruit juices because they could affect your body’s ability to absorb the medicine. If you experience any signs of an allergic reaction to taking Adderall, it is recommended you contact emergency help immediately. Allergic reactions can include and are not limited to swelling of the face, hives, swelling of the tongue, difficulty breathing, or swelling of the throat. Contact your physician if you notice that your child’s growth has been affected by taking this medication. Feelings like you are going to pass out. Seeing or hearing things that appear real but are not. Experiencing new behavioral patterns including paranoia, hostility, and aggression. Suddenly experience convulsions or a seizure. Uncontrollable muscle tics or twitches in the eyes, arms, legs, feet. Sudden changes in your vision. Numbness of the skin, unexpected wounds, cold feelings, skin change color in toes or fingers. Explainable bouts with serious muscle pain. Severe headaches, migraines, bouts of dizziness. Loss of appetite or severe stomach pain. A dramatic loss of weight. Feelings of nervousness and significant mood changes. Dry mouth, sleep problems, or insomnia. What Drugs Will Affect me Taking Adderall? There are a number of different drugs that can interact with dextroamphetamine and amphetamine. Acid reducers and antacids like Zantac, Protonix, Prilosec, and Pepcid. Allergy or cold medications containing phenylephrine or pseudoephedrine. Blood thinners such as Jantoven or Coumadin. 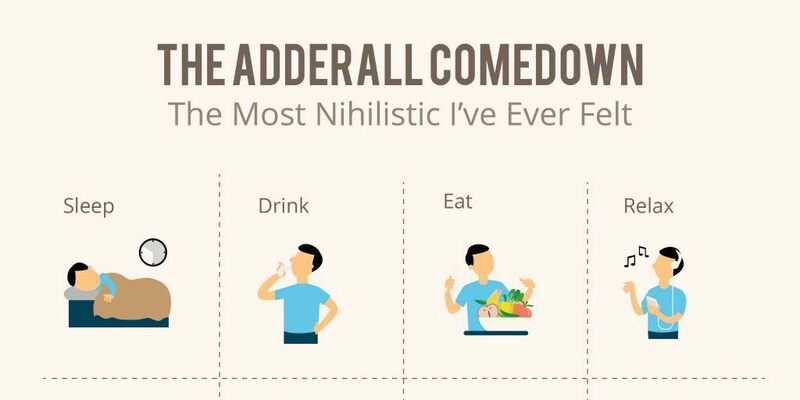 While this list is not complete, it should give you a good indication of the overall types of medications that can impact Adderall. Give your doctor a list of any medications you are currently taking, including vitamins, herbal products, and over-the-counter medication. How Should I Take Adderall? The Adderall tablets are taken once or twice a day orally. The tablets are available in 5m up to 30mg. A dosage of the Adderall will typically last longer than the same dosage of Ritalin and with less of a drop-off. As the medication wears off, there are fewer side effects experienced. The Adderall has been approved to patients 3 years of age and older. Patients who are experiencing any degree of hypertension should not take this medication. Patients suffering from bipolar could experience bouts of mania if they take the medication. Because of the addictive nature of the medication, it is advised patients who have a history of alcohol or drug abuse do not take Adderall. People who should avoid Adderall should consider using alternatives instead, here is a list with a few good options. Adderall is considered to be a Schedule II stimulant. This means that according to the classification out forth by the Drug Enforcement Agency, it does have a high potential to be abused. Similar drugs in the same class are cocaine, Ritalin, and Dexedrine. Anyone who has a history of alcohol or drug abuse should not be taking this medication. 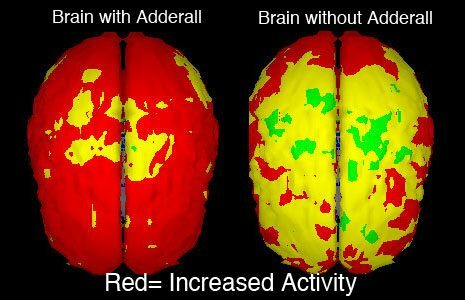 Those who do not have ADHD should not be taking the Adderall. Is Adderall Right for My Child? No one can tell you if Adderall is right for your child except for their pediatrician. A healthcare professional will carefully analyze your child’s medical history and tell you all the benefits and possible complications of getting this prescribed medication. Once you have been informed about all the positive and negatives, you are in the best position to decide what is best for your child. This article has detailed everything concerning Adderall, but there are things that may have been omitted in part. If you still have questions or concerns after reading all the information, call your health professional immediately before taking this medicine. In case of an emergency, Poison Control is available 24 hours a day as well as your local emergency room. Photos from: designer491 / depositphotos.com.